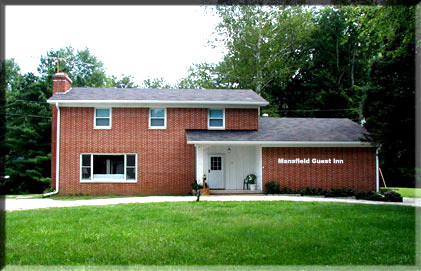 Old Mansfield Village, where to stay while visiting Parke County and the Covered Bridge Festival. There are several options available to guests visiting historic Parke County and Old Mansfield Village. We have posted a number of them below for your consideration. Please contact them directly for information. We look forward to hosting you during your stay in the home of the Covered Bridge Festival. There are a number of Bed and Breakfast Inns in the Parke County area. Located throughout the county and within easy driving distance of the many sites and historic bridges. Book early for special events. Special event pricing is usually in place for festival and other seasonal events. Parke County and the surrounding area is fortunate to have a diverse selection of Inns and Lodges available to visitors to the region. Many of them are located close to Old Mansfield Village and the Raccoon Lake (Cecil M. Harden) recreational area.